Counting finished areas not connected to the main home floor. In some parts of the country appraisers use square foot living area as a base of establishing the home’s market value. Other parts of the country don’t pay much attention to that value. Here in Louisiana it is a critical measurement. First you need to know there are several measurements in a Baton Rouge home. One is total living area which includes porches, storage, etc. A second is the living area. And another is the square footage and dimension of the lot on which a home is built. All 3 or these can influence value. For example if you have only a carport (total living area) and all other homes in your neighborhood have garages, you will most likely lost value compared to the market value of your home. Conversely, if you have a nice 2 car garage and most homes have no covered parking, it may add value to your property. Appraisers use standards of measurement, one of the most common is the ANSI standard. These rules establish uniformity when several different people measure and calculate square foot. It is important is selecting your appraiser that they be qualified and know ANSI standards. These standards give a value estimate to home features like garages and establish condition grades such as excellent to poor so appraisers deduct or add value uniformly. 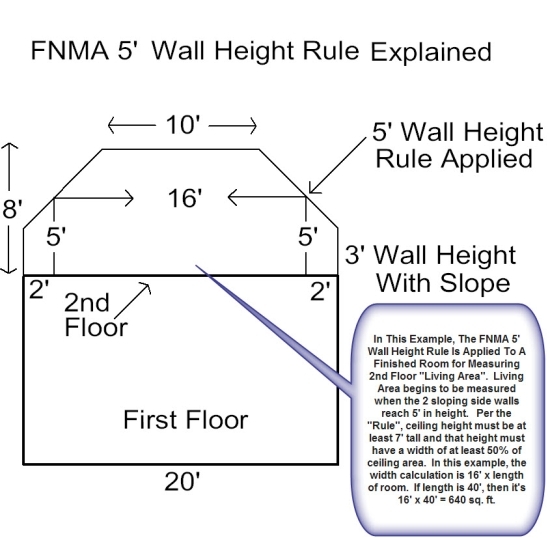 Appraisers are trained to know about above and below floor grades in a home and how to value those. Be aware that determining your correct square foot area is not just as simple as putting a tape measure around your home’s perimeter. You need to find a qualified ANSI appraiser to do your values. Trained Real Estate Brokers can give a broker price opinion and are trained to measure and get approximate values, but it is always wise to get an appraisal or at least a home measurement by a trained appraiser, especially if your broker or agent recommends one for your Baton Rouge Home. WHY ARE INTEREST RATES IMPORTANT TO SELLERS OF BATON ROUGE HOMES? Why Interest Rates are Important to Sellers, and Why They Shouldn’t Wail Until Spring to List. This time of the year I am asked if Sellers’s should wait until spring to list their home. Or, I am asked what is the best time to list my home. The facts are that homes sell every month of the year, including winter and the holidays. Here I would like to summarize 3 reasons why sellers shouldn’t wait to list their homes in the Baton Rouge Metro area.. In summary, As interest rates rise, buyers fall out of being able to afford a home they previously qualified to buy. As fewer buyers are available, this can force prices down or increase length of time on the market. And an interest rate jump affects higher end subdivisions even more than starter neighborhoods. 2. Transferring Buyers Don’t Wait Until Spring. Not only is there a risk that interest rates may rise and they can’t afford as much home but they are anxious to get settled. Many corporations transfer employees from November thru February which are often slower business times or year end periods when new budgets kick in by the next fiscal year. Transferring employees are highly motivated and make decisions quickly unlike many local buyers who take several months to decide on a home. They look and buy and close contracts quickly and don’t wait until spring as they want to buy quickly to start their new jobs. Two of the three corporate moves of my family were between November and Christmas. You don’t want to miss out on these valuable serious buyers. 3. Gains in Equity Can be Offset by Rising Interest Rates. Some sellers feel they will wait a year or two to build more equity before moving. They are assuming that values will rise in their area. The problem with waiting is that interest rates could rise. Then increasing rates may decrease the number of homeowners who can buy your home, changing the market and cause a longer time on the market before you can find a buyer . Or even worse if it changes the supply and demand in your price range, it might drive down values in your area which would mean a decrease in equity rather than an appreciation in equity and thereby negate any equity build up from waiting . Another reason interest rates are important to sellers of Baton Rouge Homes, is that as interest rates rise the amount of home you can buy after you sell also declines. So, even if you gain some equity, that gain may be off set by the loss in buying power in your new home. In summary interest rates are important to sellers and timing of your listing is important to sellers of Baton Rouge Homes in order to get the most equity to reinvest in your future home, to capture transferees who must buy now, and to have largest number of potential buyers possible to get the most money in the fastest possible time. A “Green” Affordable, Hurricane & Earthquake Resistant Home produces its own energy! It all started when Darrin Badon, an architect and partner at Tipton Associates in Baton Rouge Louisiana visited Haiti for a fifth time in the fall of 2010 and saw the countless number of orphans and families still homeless following the massive 2010 earthquake. Darrin has 3 children himself, and was moved at the nearly a million people still homeless two years after the earthquake and another million who live with just terrible accommodations. “….seeing the level of destruction, I just had a very deep desire to do something related to housing..something affordable, earthquake resistant, hurricane and tropical storm resistant”, Badon says. Each time he flew in and out of Haiti he saw thousands of shipping containers stacked up, and saw crowds of unemployed people trying to survive in the poorest country in our hemisphere, and he felt led to come up with something that would give shelter and at the same time put local people to work and give these people employment and some hope. On the last trip there he took his 3 children and wife. So he began to talk with others and began to have some ideas. If he designed a home and then partnered with churches or organizations who were already working and living in Haiti, an organization could be started to build these homes. And the organization could be run locally by Haitians to build communities, one at a time. when they saw the improvement and hope. He envisioned small clusters of 20-25 shipping container homes forming a small close knit community. The local Haiti church would be key partner in helping establish the location and homeowners for these new communities. Communities organized by the Haitians themselves would provide shelter, and food, and spiritual hope to those in the community. He began sketching out his ideas. So the idea began to take life. Using shipping containers that go into Haiti full but would go to waste He knew these containers were used by the U.S. Marines in rural Afghanistan as housing since they are durable and weather resistant, Then other parts like solar panels could be shipped in from other countries initially. He had to build a prototype to prove its feasibility, so he purchased an 8 x 8 x 20 steel shipping container in New Orleans last spring for $2300 and had it brought to Baton Rouge. Istrouma Baptist Church which has organized several mission trips to Haiti partnered with Darrin Badon to provide the land site for construction. Then Badon and his family, and a few other men began construction of the home they named “The Haiti House”. This affordable, earthquake resistant, hurricane resistant, self-contained “green” shipping container home was being born. & welded on shutters and hinges provide shelter from storms and rain , and placed solar panels to connected via wiring to a gel battery that does not give off hydrogen, to provide lights and a fan to circulate air at night. The panel and batteries have a 2-3 day capacity so if the sun doesn’t shine it still have enough power to last. A smaller entry door is installed inside the larger container door and insulated it with foam,, framed up the interior, and used particle board for paneling but left it unfinished so each family can create their own interior color and design or just use it unfinished. An awning can be made of steel or wood in Haiti to provide shelter while outdoors cooking. Both charcoal and propane are abundant in Haiti. Not counting labor, a Haiti House can be built for about $5,000 in materials if you pay for the shipping container. Haitians work for U.S. $1.50 a day. So if he could just start with $6,000, he could convert a shipping container already in Haiti and train and pay local workers and set aside 10% on each home to go into the LLC as a fund to start the next home. Eventually the project could become self-sustaining. So the first Haiti House will be completed this year. Mr. Badon lived full time in his Haiti house this winter to test the home and make any changes he sees while living there. This affordable, earthquake resistant, hurricaine resistant, self-contained “green” home will be shipped early in 2013. A non-profit L.L.C. is being formed and efforts are being coordinate with Global Orphan Project and other interested organizations which are established in Haiti. Mr. Badon hopes to branch out with the assistance of other interested groups. They want this project to be a self-sustaining endeavor, not a handout but a hand-up that the Haitians themselves are partners in. I get frequent questions about appraisals. This article outlines some of the things FHA appraisers look for that are different from conventional loans. The 3 categories are Safety, Security, and Soundness. If you are thinking about selling your home, take take to correct any problems in these areas before you list your home. FHA guidelines state that a house has to meet MPR (minimum property standards) forexisting houses, and MPS (minimum property requirements) for new construction. FHA is very concerned with the three S’s: Safety, Security, and Soundness. Missing or damaged handrails for full set of stairs. Improper spacing of balusters for decks and balconies (would allow a child to climb in between the balusters). 2nd level sliding door not secured when there is no deck. Exposed wiring and/or missing outlet covers. Missing fire and carbon monoxide detectors. Missing carpet over a wood sub floor (If carpet is missing over a concrete floor not an issue-FHA considers concrete to be a permanent floor; however, most lenders may want this addressed). Worn, dated, or sagging carpet. Cracked windows (see detailed explanation). Minor damaged interior walls or doors. Foundation problems (shifted and bowed walls, large cracks from settling). Roof beyond expected life of two years; more than 3 layers of roofing. Decks not properly built to code. Additions or basement finishing that wasn’t properly built. Located near HV (high voltage) power lines (see detailed explanation). Located near a municple sewage treatment plant. Located near a major freeway or county road. Located near a hazardous site or landfill. Just because the property is located near any of the above, doesn’t automatically make it ineligible for FHA financing; however, the appraiser is going to have to be able to address the marketability of the property. The best way to do this is to find similar sales that were subject to the same type of issue(s). The appraiser would then have to be able to use those comparable sales within the appraisal report to help bracket the property, and at the same time meeting all of the lender’s other guidelines and/or overlays.